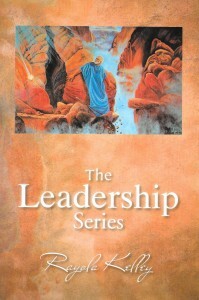 The three books that make up the Leadership Series were written after my friend and co-laborer in the Gospel, Jeannette Haley, pointed out that there seemed to be much confusion surrounding godly leadership in the kingdom of God. The main reason for this confusion is that many Christians consider leadership according to the world’s standards. Jesus even warned His followers in Matthew 20:24-27 that there is a vast difference between what the world considers to be greatness in leadership, and how the kingdom of God regards leadership that is marked with the excellence of greatness. As this book illustrates, true leaders in God’s kingdom are not born; rather, they are forged. In order to effectively bring forth a leader, such individuals must learn to recognize that which hinders them and overcome these enemies. Obviously, a leader cannot lead others where he or she has not yet walked. The first book, Overcoming, addresses the true enemies of the cross of Christ, and reveals that they do not always come from without. Many such hindrances prove to be nothing more than moral deviations that are present in our character. Therefore, the first book identifies the true enemies of the Christian life and brings insight into what it takes to overcome each enemy. Great leaders also understand how authority and power are to influence and work in their lives. The second book, A Matter of Authority and Power reveals that real leaders recognize true authority and understand how power is to be used to carry out their responsibilities. This book will undo any misconceptions about these two subjects and will produce the sobriety that must be present when it comes to possessing the quality of true leadership in the kingdom of God. The final book, The Dynamics of True Leadership, follows the lives of the great leaders of the Bible. This book reveals the type of soul each leader possessed. It explains the choices these leaders made and how it impacted the kingdom of God.